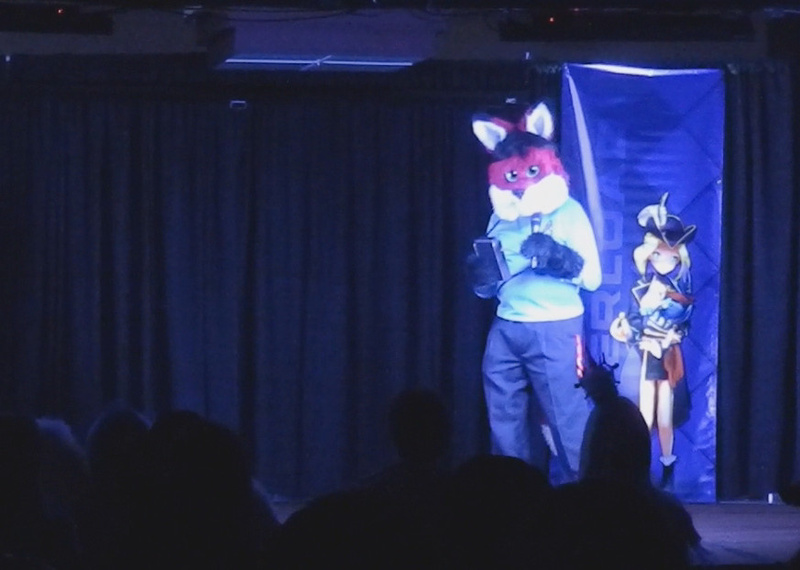 Cosplaying in fursuit at Anime Overload 6, Austin, TX, August 9, 2014. A fox in a blue Star Fleet uniform? Of course, he is a "Vulpin Science Officer". This kinda stuff almost makes me want to get a fursuit myself.